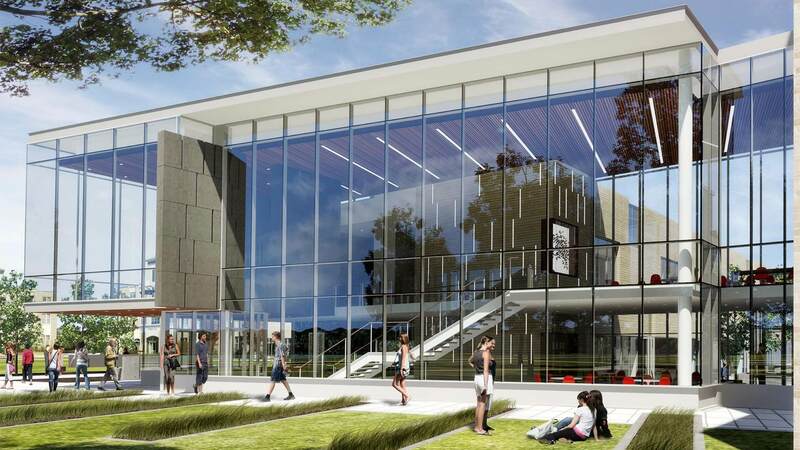 The Warde Academic Center Building project consists of a new 65,000 sf instructional lab building linked to the existing science wing of the Warde Academic Center. When complete this multi-phased project will house 10 new instructional labs with support spaces, student study space, a dedicated science library/technology lab, an anatomy and cadaver lab, greenhouse, and an astronomy observation deck. The ground floor with be constructed as “shell” space to accommodate future SXU growth and allows new and renovated science floors to align. A green roof is planned to provide bright, day lit spaces, allow private study and to host special events. Approximately 25,000 sf of existing laboratories relocated to the new building will be renovated into dedicated student and faculty research labs, collaboration space, and traditional classrooms.